Offering Qualified Water Damage Technicians to response quickly in our emergency response vehicles, CTC will immediately assess the water damage to minimise the devastation to your home or business. If there is water damage to a carpet it is often necessary to replace the carpet unless the damage is not extensive - such as if a bath overflows or rain comes in through an open window. 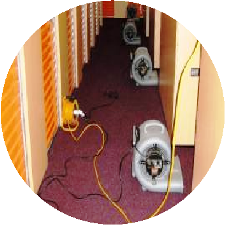 If the accidental damage is minimal or segregated to one area, the carpet often can be dried using dehumidifiers and high volume rapid dryers. 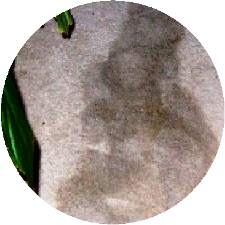 With any water or flood damage, you often get bacteria and mildew that needs to be removed. We have Qualified Water Damage Technicians who offer quick response to rid your home or business of bacteria formed from water damage. With deep cleansing that uses chemicals that are 100% safe, our technicians will restore your carpet or flooring to its pristine condition and ensure that all bacteria is removed. Selling or buying a Home? 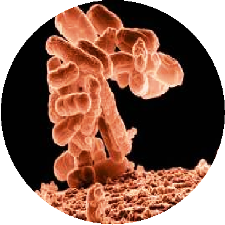 Call 1300 762 021 for a Bacteria Swab Test with a Certificate of Clearance. Often when there is water damage, not only is the carpet damaged, but the water has seeped through to the flooring underneath and caused damage there as well. 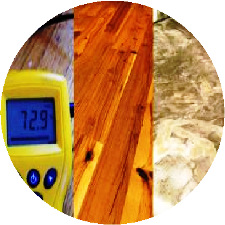 Whether the flooring is concrete or timber makes no difference as both need to be dried out before you can replace the carpeting. Our Qualified Water Damage Technicians are fully insured and licensed to ensure that any and all your flood or water damage repairs, replacements and remediations are done to your satisfaction and of course, your insurers approval.